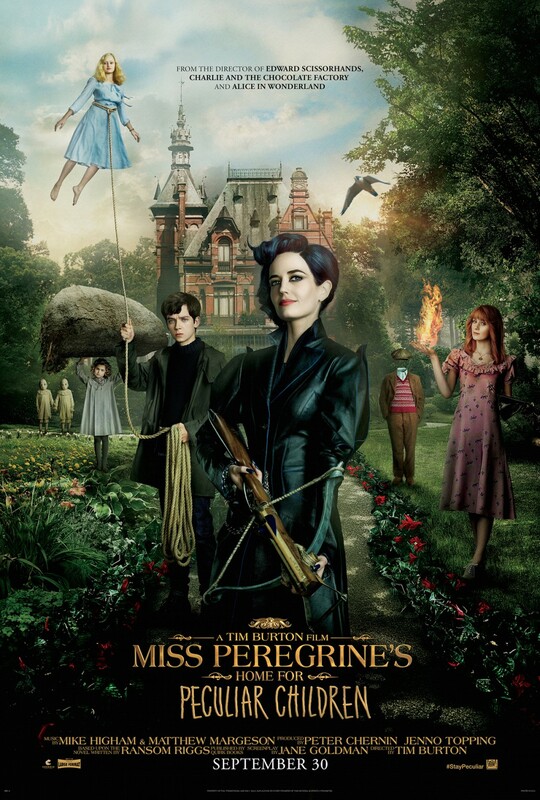 Here’s thefanboyseo.com Miss Peregrine’s Home for Peculiar Children Review starring Eva Green, Asa Butterfield and Samuel Jackson. Now Showing from 20th Century Fox. So we went into this feeling blergh. Mostly because most of Tim Burton’s recent works were subpar to what he did years ago. Plus the trailer wasn’t as astounding as I want it to be. 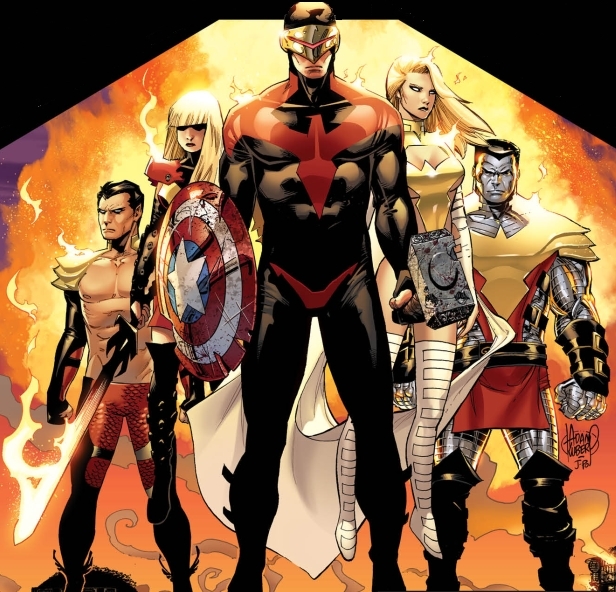 Plus I was also teasing the film as the real “X-Men First Class”. And imagine my non-disappointment and my wonderment when I saw the film in an Atmos theater in 3D. Its a happy disappointment though as I totally loved the film. First off let me say that Miss Peregrine is a cutie. She’s described in the books as fragile and cautious but in this film, we don’t see “fragile” we do see a kickass headmistress/ mother figure; at times she’s strict but most of the time she dotes her children. Even the dead one. More than that I can’t help but be reminded of a younger Helena Bonham Carter with the way Green carries herself here. Casting was great. Asa Butterfield might not have nabbed the role of Spider-Man for the MCU but he definitely nailed it as Jacob here, the unwitting peculiar kid with a completely different set of “peculiarity” from his peers. Samuel L. Jackson as Mr. Baron is also a great choice. More than his acting chops, the dude is imposing and intimidating as hell when he wants to be. There’s also Ella Purnell who plays Emma Bloom in this film. She’s perfect for the whole gothic look while still looking pretty. 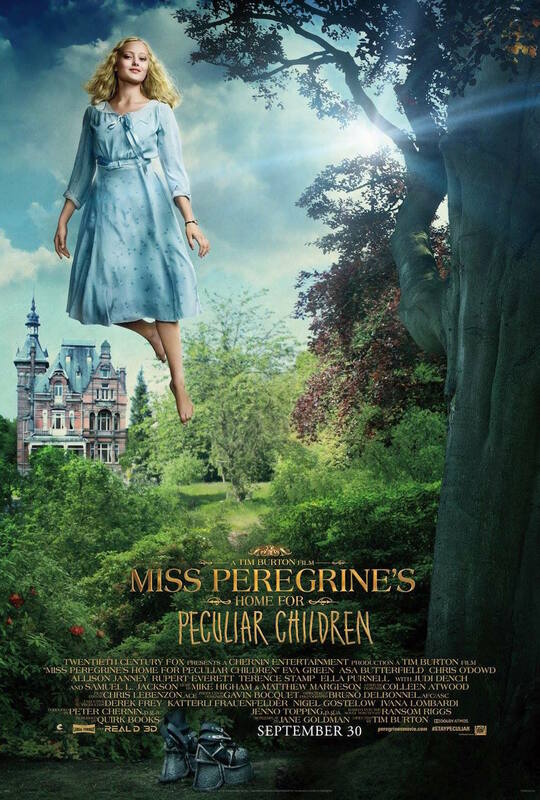 Ransom Riggs (the author of the book) did a wonderful novel using photos from flea markets and maps and while that cannot be translated to the big screen, Tim Burton manages to find ways to place his own quirks here and there. 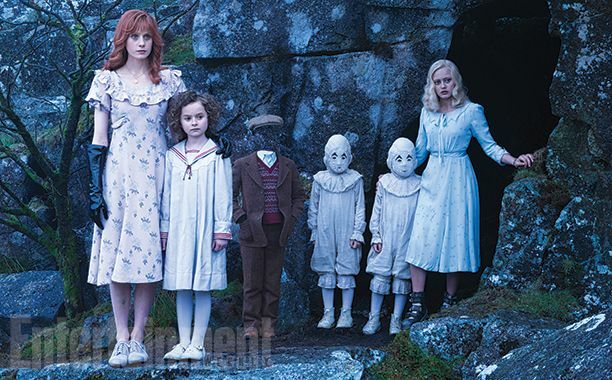 The dark hues and the haunting scoring, the cinematography and the way you see how the camera lingers in shots of the ruined home for peculiar children. There’s also those creepy, scary puppets that Enoch controls that clearly reminds viewers of ‘Edward Scissorhands’. Oh and that concept from Riggs’ book still makes it into the film via the opening credits. I’m a big X-Men fan so seeing this film and treating it like a homage to the long-running comic book is a treat. I mean come on, one of the wights in the film’s climax has ice powers while there’s also a girl named Emma (who is blonde), a kid named Horace with eye powers, and a strong young lass named Olive. Mr. Baron is also shapeshifter and uses that in different nefarious ways throughout the film. It’s always pleasant to see Terrence Stamp aka General Zod and his appearance here was not an exception. The concepts used in the movie might be a little too confusing for the younger audiences but it was perfectly fine for me and I’m gonna guess that majority of the geeks who see this will be entertained, like time loops/ temporal loops and mutant powers peculiarities. I got a kick when they mentioned “Hollow”. All I was thinking was Bleach. You’ll probably do the same thing when you see the movie and see the similarities. Only a few cons with the movie. It’s dark as dark can be and there are some rather unsettling imagery. Other YA adaptations taper down the darker themes in their films but this is Tim Burton so no dice. From skeletons sitting in a sunken ship to same skeletons getting reanimated or even that scene with puppets fighting to the “death”, its borderline macabre from time to time. I’m worried about the kids, but if it were really just me, this would be fun. There were some moments in the film where they themselves don’t follow the rules they set up with regards to time loops. … and the Hellfire Club as well. Lastly the time element in Miss Peregrine’s Home for Peculiar Children WILL confuse viewers especially if you miss a pretty important line in the film. I know I did and it confused me to hell. I only got exactly what happened on the Uber ride home. Which should not be the thing but at least it assures as that there will certainly be an open door for a sequel. Miss Peregrine’s Home for Peculiar Children is such a strong movie I dare say that this is Tim Burton’s return to form, his greatest masterpiece yet. Peel that away, even remove Burton and the movie itself is still worth seeing.